[Q2] How does each entity in the following categories conceive of space operations for military and commercial purposes? How do they approach space operations and services? Is there any difference in how their commercial ventures (if any) consider security during peace, crisis, and conflict? a. PRC, Russia, Iran, North Korea; b. European Space Agency, Japan, India, South Korea, Israel; c. Canada, Brazil, Australia, Singapore, Ukraine, others. 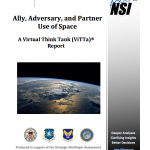 A Virtual Think Tank (ViTTa)® Report. Author | Editor: Aviles, W., Bragg, B., Peterson, N., Popp, G. (NSI, Inc,). Given the complex nature of this question and the number of countries covered, the body of this summary response has been organized by country. Looking across all these countries, however, several themes and patterns emerge, and these are presented in Table 1 below. While Iran, Russia, the PRC, and North Korea have historically seen space as integral to national security and defense, the expert responses suggest this attitude is spreading. Motivated by the perception that regional instability is increasing, many other states, which previously conceived of their space operations as primarily civil in nature, are beginning to regard space as essential to their national security and defense. This, in turn, has led to a greater focus on dual-use technologies. Many, not just Russia, China, Iran, and North Korea, also view space as a source of national pride and international prestige. Finally, while the specific organization of the space sectors in these countries may differ, all have fewer institutional barriers to military use of civil (government and/or commercial) capabilities than we see in the US. Furthermore, there are institutional and financial incentives for government and commercial entities to work together. These findings are consistent with the analysis of the experts who contributed to Question 7. Kevin Pollpeter of CNA considers China’s approach to space to be motivated by the desire to “increase what [the PRC] calls its comprehensive national power … the basket of everything that makes a country powerful: its military might, its economic power, its diplomatic power, its cultural power.” This assessment is consistent among the contributors who discussed China,7 although there was some deviation regarding the scope of China’s ambitions relative to their military, commercial, and civil/scientific pursuits in the space domain. Veerle Nouwens and Alexandra Stickings of the Royal United Services Institute refer to Beijing’s “strategic vision as a global power,” whereas Dean Cheng of the Heritage Foundation frames such strategic vision as being more regional orientated and not expeditionary in nature. These ambitions are grounded in the long-term “future-orientated,” multi- generational planning (Dr. Namrata Goswami, Wikistrat and Auburn University Futures Lab) characteristic of Beijing’s centralized approach to policy development. Multiple experts8 consider the PRC’s geopolitical priorities to be driving all aspects of its space operations and services. Every component of China’s space operations effectively serves its objective of increasing national power. The civil, commercial, and military components of the PRC’s space operations have varying operational goals and programs, but all are ambitious and holistic in nature. For example, the PRC’s civil and commercial efforts in space predominantly fall under the yoke of Beijing’s national defense strategy in some form or another, but can still claim objectives independent of military ambitions. Civil space ventures, in particular, are often consistent with the strategy of dual-use technology9 that Nouwens and Stickings argue presents the potential for “degrading US assets in space and on Earth.” Finally, as Cheng notes, Chinese leaders regard US dependence on space infrastructure as a weakness, and will seek to avoid such reliance as it advances its own space capability. There is broad consensus among contributors that the PRC’s military approach to space operations are, as Marc Berkowitz of Lockheed Martin writes, “central to denying the US its ability to sense, decide, and act effectively and thereby deter intervention.”10 The experts’ discussions of the PRC’s strategic vision for space suggest that there is a concerted effort underway to decrease the United States’ advantage in space. Nouwens and Stickings note that the Peoples Liberation Army (PLA) is seeking “information dominance capabilities in space, while developing capabilities to deny or degrade the capabilities [of the US].” Several of the experts11 discuss the recent successful test of the “unhackable” quantum entanglement as evidence of China’s aspiration for information dominance. Beijing’s development of military space capabilities goes beyond the information domain—the PRC is also developing direct ascent missile hit-to-kill technology which could be used to target satellites or to help it improve the survivability of its nuclear-capable missiles (Grego). Major General (USAF ret.) James Armor (Orbital ATK) and Berkowitz remark that, despite the advances made by the PRC in cultivating a commercial space industry, such ventures are simply “extensions of the regime” and will completely yield to functions of the state in the event of a crisis. Furthermore, Dr. Martin Lindsey (United States Pacific Command) and Cheng warn that the dual-use nature of many space technologies enables China to mask military ventures in space as civil-science operations. Consequently, commercial interests “will not deviate from PRC goals during conflicts” (Goswami). Commercial space assets may even be aggressively defended by the PRC during a crisis, and their continued operation viewed as a strategic necessity. Russia’s approach to space is primarily influenced by its resurgent rivalry with the US. Cheng characterizes Moscow’s space operations and services as “one of the various instrumentalities available to achieve deterrent objectives.” Yet, as several contributors13 note, Russia is falling behind the US in terms of its space capabilities. Victoria Samson of the Secure World Foundation writes of the vagueness of the role space has in current Russian policy, while noting that Moscow is, “just fearful of being left behind and being perceived as being weak.” Nevertheless, Moscow is actively resisting US hegemony, although its efforts are hampered by substantial resource constraints (Theresa Hitchens, Center for International and Security Studies at Maryland, University of Maryland). Despite its emphasis on space for defense and national security, Russia has made significant contributions to international civil space by supporting the International Space Station (ISS) and other civil space ventures. Additionally, the development of GLONASS14 and other commercial space services indicates that Russia is interested in exploiting its space capabilities for commercial purposes (Hitchens). Indian Air Force Group Captain (ret.) Ajey Lele of the Institute for Defence Studies and Analyses notes that Moscow has “succeeded in keeping their space agenda [i.e., ‘orbital cooperation’ and other civil pursuits] shielded from geopolitical tensions [with the US].” Supported by China, the Russian Federation has proposed a treaty15 banning space weaponry. Grego suggests Moscow recognizes that securing space operations as orderly, safe, and secure in peacetime benefits both their national security and commercial interests, and contends that if “a crisis unfolds and the possibility of armed conflict in space is entertained, [we should] expect that they [will] also prefer constraint and predictability and to be able to manage the conflict.” These points of international collaboration speak to Moscow’s interest in limiting US dominance in the space domain as well as ensuring future Russian space operations. Russia is clearly capable of fielding different types of reversible, nondestructive means of interfering with satellites, and has some capability to field anti-satellite weapons and missile defense technologies that are destructive (Grego). The escalatory potential of such space technology embodies the “Russia[n] concept of ‘escalate to deescalate’ … with its apparent emphasis on a quick resort to irreversible weapons effects” (Berkowitz), and illustrates Moscow’s interest in offensive capabilities (Hitchens). A necessary adjunct to Russia’s military capabilities in space is space-based information capability. Russia’s GLONASS PNT program embodies Moscow’s pursuit of an independent, state-controlled space infrastructure that can support informationalized warfare. Russia designates over 100 small-to-medium companies as commercial space ventures. However, in contrast to the US, each is administered by, and to a large extent under the control of, Russia’s space agency, ROSCOSMOS (Lele). Although primarily intended for commercial purposes, these companies are subject to Moscow’s agenda and needs. While this degree of control supports defense, the result is that Russia “lack[s] a culture of openness and trust that is key to private sector activity and innovation,” according to the ViaSat, Inc. team. Goswami notes that Russia’s commercial space efforts have included “build[ing] space infrastructure in countries lacking such expertise and sharing its space technology;” a practice which has become a means of revenue for the Russian military industrial complex (Lele; Samson). In addition to generating revenue, Moscow’s civil and commercial space capabilities bolster national pride, and highlight Russia’s international influence and prestige. There is overall agreement among the contributors that Iran’s space ambitions are centered on national security and reflect its desire for both regional hegemony and national prestige. Iran’s antagonistic relationships with neighboring Arab nations and Israel provides the motivation for Tehran to pursue sophisticated information dominance and missile defense and offense, while also growing its civil space operations. Goswami identifies Iran as “the most advanced ‘space-assets nation’ in the Middle-East, especially in relation to the Arab states in the region.” She suggests that, as tensions in the Persian/Arab Gulf continue to grow, a space race may occur between Tehran and the Gulf nations. Iran has a “large and sophisticated missile program” (Dr. Gawdat Bahgat, National Defense University) that Grego observes has launched a small number of low-mass satellites that have little demonstrated capability. In fact, discussion of Iranian space operations is often dominated by analysis of Tehran’s missile technology and ambitions, although several experts16 point out that Iran has other civil space and technological aspirations as well. Grego explains that Iran has long sought to jumpstart its space scientific efforts through cooperation with the European Space Agency (ESA) and Italy, and the funding of academic initiatives for space exploration. These efforts, along with their missile program, are seen by Tehran as a means of bolstering nationalistic sentiments and pride associated with such pursuits (Bahgat). The prospect of international prestige and the “dual-use nature of technology” (Lele) also make a sophisticated space program irresistible, perhaps even a necessity for achieving Tehran’s aspiration of becoming the dominant regional actor in the Middle East (Grego). Assistance from Russia is vital to Iran’s missile program. China also has shown interest in cooperating with Iran on civil space projects. Grego writes that, given Iran’s security and domestic concerns, “good intelligence, reconnaissance, and communications would seem essential for its national security as well as for its economic and social development.” Goswami considers these capabilities to be particularly relevant to Iran’s involvement in Yemen, and its fight against extremist groups such as ISIL. Grego believes that Iran is interested in and capable of anti-satellite techniques such as jamming, dazzling, and cyber attacks that could help repel an adversary’s attacks or intrusive uses of intelligence gathering, but that more sophisticated weapons, such as direct-ascent weapons, are not in their foreseeable future. Hitchens views offensive capabilities in space as a priority for Tehran and, looking forward, identifies counter space capabilities as a long-term ambition. Again, the contributors are not aware of any Iranian commercial space industry,18 and indicate that the Iranian Revolutionary Guard controls all of its space operations. North Korea’s space activities are motivated by the need to counter what its leaders perceive as the existential threat posed by the US and South Korea. Moreover, to date, North Korea has demonstrated little to no interest in science and technology that does not serve its defense objectives (Samson). Hitchens refers to North Korea as an aspiring actor in the space domain, and despite its lack of significant space capability, Pyongyang places tremendous value on the advancement of space operations. It is likely that North Korea will seek to develop space technologies and capabilities as far as necessary to support its growing nuclear arsenal and oppose regional adversaries. Perhaps more than any other nation, North Korea’s economy is focused on its primary national security goal of regime survival, and its space program is not an exception to this. Contributors characterize North Korean space operations as either a means of perpetuating the regime or of countering US military superiority, or both. North Korea does not have a commercial space sector; any space operation declared as civil is simply a facade for a military program (Cheng). Several contributors discuss military space programs that the Pyongyang regime is actively pursuing in addition to its focus on achieving platforms for nuclear ICBM capability. In particular, North Korea seeks counterintelligence technology capable of “jamming GPS signaling to defuse data on its internal developments as well as jam early missile warning signals” (Goswami). However, strategic capabilities such as communication, counter space technology, and other force enhancement pursuits in space are manifested only by a nascent and unsophisticated satellite program. Ultimately, Pyongyang’s missile program transcends all other activity in space. Samson notes that North Korea’s military space operations are tempered by Pyongyang’s awareness that the development of capabilities such as anti- satellite weapons or EMP bursts are probably unattainable and would lead to a regime ending response if they are ever developed. Grego argues that North Korea “does not have a developed civil society that it must be accountable to at some level. North Korea’s battle is for survival. So, … all its space activities will be tailored very carefully to that aim.” Lele suggests that illegal trade in missile parts or satellite components is the only likely avenue for North Korea to engage in commercial space activity. The European Space Agency (ESA) is an international space agency, not a state space actor, so it is unique in comparison to the other actors presented in this summary. However, like some of the other space actors presented, ESA appears to be increasingly thinking about dual-use aspects of space capabilities and activities (Agnieszka Lukaszczyk, Planet). Hitchens and Lukaszczyk explain that ESA was initially established to focus purely on civilian and peaceful uses of space, not on military uses. However, Lukaszczyk notes that Europe’s current geopolitical climate is increasingly driving European interests toward a closer focus on security concerns. She suggests that this is starting to be reflected in ESA’s space interests and operations, particularly with respect to its increasing acceptance of the use of space for security activities, capabilities, and technologies. This is a recent development, according to Lukaszczyk, who notes that just 3-5 years ago there was a clear, distinct separation between civil space and military space in Europe. The national space programs, space agencies, and space offices of individual European states. ESA, which is comprised of 22 European member states. The EU, itself, which has its own space policies, space programs, and space operations that cover its member states. As Lukaszczyk explains, ESA and the EU are independent from one another and have different member states, different procurement processes, and different ways of spending money. She contends that the key difference between ESA and EU space initiatives is that ESA focuses on activities such as space exploration, research, and the technical aspects of space operations (i.e., similar to NASA in the US), whereas the EU is more policy-oriented and focuses on the strategic aspects of space operations (i.e., similar to the US State Department and Department of Defense). Moreover, the EU has supranational power that requires member states to abide by its directives, an authority ESA simply does not have. While Lukaszczyk notes that there have been some instances of friction between ESA and the EU, particularly over issues relating to authority and jurisdiction, she suggests that a significant step toward improved coordination and cooperation was made with the development of the European Space Strategy in 2016, which she describes as a space strategy for Europe as a whole. Perhaps most critically, she asserts, the European Space Strategy was developed through a unified, collaborative effort that included all three of the overlapping types of government space actors and programs within the EU (member states, ESA, and the EU itself). Historically there has been little cooperation or collaboration between civil and military space actors in Europe, and even the idea of dual-use was a sensitive topic of discussion, according to Lukaszczyk. She contends, however, that a perception of increasing regional security threats has opened the door to the idea of strengthening European defense capability by capitalizing on existing civil and commercial space capabilities and technologies for military purposes and dual-use applications. This change seems to be consistent with wider European perspectives on the role of space. As Lele points out, NATO has historically viewed space as a force enabler and multiplier. He explains that the space domain has been of strategic importance to many EU states for decades, particularly as EU states have served with the US in recent military operations that depended heavily on satellites. Supporting Lele’s point, the experts highlight two particularly relevant European space initiatives, both of which ESA is now involved with: Galileo (the global navigation satellite system [GNSS] of the EU) and Copernicus (an Earth observation program). Lukaszczyk explains that both Galileo and Copernicus were initially established as purely civil and commercial space programs but the EU has adjusted each program’s mandate to incorporate military and security objectives and operations. Major General (USAF ret.) James Armor (Orbital ATK) and Colonel David Miller (460th Space Wing, United States Air Force) highlight the strategic and operational value of Galileo to the EU as the provision of an independent GNSS capability that increases European control over access to its own communications. This reflects what Miller sees as the core reason why actors get involved in space in the first place: the fundamental need to see and communicate over the horizon, for the benefit of national security objectives, civilian objectives, and commercial objectives. According to Lele, European commercial space activity more commonly occurs at the EU member state level, rather than at the ESA level. However, in general, Lukaszczyk suggests that Europeans tend not to trust the private sector as much as Americans do, despite recognizing the obvious achievements and successes of commercial space actors in the United States. Consequently, she explains, European government and military space actors are typically reluctant to turn over control of aspects of their programs to private sector actors. To illustrate this point, she points to a collaborative (ESA, EU, and EU member state) Europeans space communications initiative, Government Satellite Communications (GOVSATCOM). As she explains, Europe has excellent telecom operators (e.g., SES, Eutelsat, etc.) that could, theoretically, meet the necessary security requirements and easily and effectively support GOVSATCOM. Instead, she contends, the EU is planning to build its own, entirely separate satellite constellation in support of GOVSATCOM because, in large part, it does not want to turn over any control to private hands—thus eliminating an opportunity for cooperation with commercial space actors. Ongoing ESA, EU, and EU member state efforts to attract commercial space startups into the European commercial space marketplace does suggest that this reluctance is receding, however Lukaszczyk characterizes the overall progress as quite slow. While Japan is an older player in the space domain, it is also a space actor transitioning the way it conceives of its space interests and operations for both national security and defense purposes, as well as for commercial purposes (Dr. Brian Weeden, Secure World Foundation). Japan has historically viewed space as a non-military domain, according to Goswami. However, several of the experts19 assert that this appears to be changing as a result of mounting regional security challenges, particularly the growing threat of from North Korea. Lele explains that Japan has both an established national space agency, the Japan Aerospace Exploration Agency (JAXA), which is the main force behind the country’s space program, as well as commercial space entities that have significant international footprints (e.g., Mitsubishi Heavy Industries and IHI Corporation). Moreover, Hitchens believes that Japan’s efforts to review and revamp its national space policies, plus its continued commitment to encouraging and enticing commercial actors to get involved in the Japanese commercial space sector, have helped the country become a growing force in the space domain. Japan also appears to be taking steps to expand its own footprint in the domain of military space. There appear to be two primary factors driving Japan’s expanding space interests and operations: security concerns and regional competition. Increasing regional security challenges have pushed Japan to take a more national security and defense focused approach to its space interests and operations (Goswami; Lele; B. Weeden). As Lele notes, Japan launched its first military communications satellite in 2017 and is planning to launch a military space force by 2019. These space operations will increase both Japan’s defense capacity (i.e., boosting the broadband capacity of Japanese Self-Defense Forces) and the security of essential capabilities (i.e., protecting Japanese satellites from dangerous debris orbiting the Earth) (Lele). As discussed, the experts suggest Japan is transitioning how it approaches space operations, increasingly focusing on national security and defense-related interests and objectives. The experts highlight several key events and decisions that illustrate this evolution in Japanese thinking. The reinterpretation of “peaceful use of space” away from meaning “non-military” (B. Weeden). The amendment of its national space policy to permit Japanese military activities in space (B. Weeden). The decision to utilize satellites for military purposes, including reconnaissance and information gathering efforts pertaining to the seas (Goswami). The introduction of ballistic missile defense into its national space policy (Goswami). The release of its fourth Space Basic Plan in 2016, putting forward a national space policy as part of an overall national security strategy (Lele). These actions, together, seem to illustrate an evolving Japanese mindset regarding space operations for military purposes; one that appears to be shifting more toward using space to protect and advance Japan’s national security interests in a time of escalating regional security challenges. According to Goswami, Japan has shown a clear commitment to encouraging the involvement of commercial entities in the space domain. She supports this argument by pointing to business-friendly initiatives such as the sharing of state-funded research and development funds with private commercial space entities, and also the creation of national legislation to encourage commercial space activity and construct a more attractive marketplace. Building on Goswami’s analysis, Lele points to two particularly relevant legislative accomplishments from 2016: 1) the passing of law that makes it easier for private companies to invest in Japan’s commercial space sector and 2) the establishment of a space activity law that allows commercial companies to launch artificial satellites. Lele asserts that these actions have paved the way for several new, notable commercial entities to enter Japan’s commercial space sector (e.g., Interstellar Technologies, Astroscale, PD Aerospace, and Canon Electronics). Although India does not have a comprehensive national space policy, the experts generally agree that it is working to expand its footprint in the space domain.20 This is evident through both concerted efforts to develop its commercial space sector and an increasing interest in and willingness to capitalize on space capabilities to support national security and defense-related interests. The experts note that India has historically conceived of space operations primarily as a mechanism to support its civil and national development interests and capabilities, with the goal of developing space technologies for the purpose of societal benefit.21 However, they suggest that how India conceives of space operations appears to be shifting. In particular, Goswami and Samson point to an increasing Indian consideration of security and defense-related factors in relation to space domain interests and operations. As Lele explains, this shift in thinking seems logical given the unique assortment of security challenges India faces in today’s geopolitical environment (e.g., cross-border terrorism, large distances of maritime borders to monitor, and having two nuclear weapon state adversaries). It is not surprising, therefore, that the Indian military appears to be increasingly recognizing that it is in its interest to utilize space for security purposes. India’s approach to space operations is driven by both military and commercial interests. On the military side, Lele notes that India’s increasing interest in exploiting space capabilities for national security and defense has resulted in increased coordination between India’s national space agency, the Indian Space Research Organisation (ISRO), and components of the Indian military. Commercially, Lele and Samson explain that India has demonstrated clear and expanding interest in its commercial space sector and has started to take steps to grow and develop its commercial space environment. However, as is the case in most of the other states discussed in this summary, India’s commercial space sector is still largely dependent on state support. As mentioned in the discussion of Japan, nationalism and national pride are also a significant factor in how Asian countries approach space interests, ambitions, and operations (Lindsey). As Lindsey explains, India and other Asian countries want to be seen as the “first Asian country to do X thing in space,” and this idea of an “Asian Space Race” likely provides some additional context and insight into India’s space interests and operations. Interestingly, despite the inherent level of competition that naturally emerges from this “Asian Space Race,” Goswami and Lele note that India has demonstrated a willingness to share space services with other regional space actors. For instance, India is offering its satellite services to its neighbors through the launch of the “South Asia Satellite” (Goswami), and has also developed its own regional navigation system (i.e., like that of GPS in the US), the Indian Regional Navigation Satellite System (IRNSS), which it is likely interested in expanding into and/or sharing with surrounding countries (Lele). Though India’s national space agency (ISRO) is mostly focused on space operations for civilian purposes, Lele and Goswami note that ISRO has been expanding its coordination with, and support to, the Indian military. As several of the experts highlight,23 expanded ISRO coordination with Indian military services has included activities like launching national security-dedicated satellites, using dual-use satellites for national defense activities, and providing augmented data on areas of concern (i.e., India’s disputed borders with China and in the Indian Ocean region), and is expected to expand into activities relating to counter space anti-satellite capabilities. Goswami also suggests that the establishment of an Indian military space agency may be forthcoming, as there have been discussions within India to establish an Aerospace Command separate from the Air Force. While the experts generally agree that India has a growing commercial space sector, Lele stresses that commercial space operations in India are in their infancy and India’s commercial space actors largely depend on government assistance. There are several examples of startup commercial space actors that have been making investments in the Indian commercial space market, but, as Lele notes, at this point the country’s commercial space actors are mostly dependent on ISRO for jobs and/or funding and are generally expected to simply be service providers. ISRO plans to engage the commercial space sector in launch activities by offering technology transfer agreements. The Indian government has shown a keen interest in developing ground infrastructure for prospective commercial space clients. 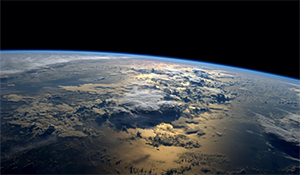 The Indian government is working to establish national space legislation that will regulate private space actors in accordance with the international obligations laid out in the Outer Space Treaty. However, despite these steps toward commercial sector development, several of the experts24 highlight concerns about government ownership of commercial space activity, and the true level of independence and openness in India’s commercial space sector. They note that India is not known to have a culture of openness and trust, and underscore concern that this may limit India’s ability to attract private, commercial sector innovation in space operations.25 Goswami and Lele point out that government ownership of India’s commercial space actors and activities likely means that if a crisis were to arise, the commercial actors would have just limited, if any, autonomous influence on security matters and decisions would be made by the government. South Korea’s regional security environment is challenging, particularly given the uncertainty and instability stemming from North Korea. It is not surprising, therefore, that South Korea increasingly conceives of, and approaches, space interests and operations with national security and defense-related objectives in mind (Lele). South Korea’s approach to space operations appears to be driven largely by national security interests and elements of national pride. As mentioned in the discussions of Japan and India, nationalism and national pride are a significant factor in how Asian countries approach space interests, ambitions, and operations, and this is certainly true for South Korea (Lindsey). Moreover, in what seems to illustrate a fusion of national security and national pride factors, Lele points out that South Korea’s evolution toward a more heavily national security and defense-related approach to space has notably coincided with a growing aspiration for space-related cooperation with the United States, particularly cooperation concerning mutually beneficial security objectives. Expanding space domain cooperation with the US helps to increase South Korea’s operational capability and international standing. To illustrate this increasing national security and defense-related focus of South Korean space interests and operations, Lele points to South Korea’s development and implementation of a new defense doctrine for outer space. Notably, this new outer space defense doctrine highlights a particular South Korean interest in incorporating advanced technologies with military relevance in space, an interest in which he indicates the burgeoning US-South Korea space partnership has also taken steps to advance. As he explains, space technologies form an important element of any missile defense system, something that will almost certainly remain a key focus for both the US and South Korea for the coming years given escalating tensions with North Korea. The country’s standing as a technologically advanced state, and the belief that South Korean commercial space operations will be well-positioned to capitalize on these technological capabilities. The increasing availability of financial resources as the number of venture capital firms involved in South Korea’s commercial space sector is rapidly growing and the overall investment in commercial space operations is expected to continue to increase. However, while South Korea seems poised to further develop its commercial space sector, Lele believes that the regional security situation will likely dictate its future. Accordingly, Lele suggests that the nature of the threat from North Korea and the regional security environment overall may be what decides the future of South Korea’s commercial space operations, particularly in a time of crisis. Israel is a sophisticated producer and user of space technologies and applications (Dr. Deganit Paikowsky, Tel Aviv University), with space interests and operations that appear to be largely driven by national security and defense-related interests and objectives. Given high levels of government control and ownership within Israel’s commercial space sector (Hitchens), Israeli commercial space interests and operations are certainly influenced by national security and defense-related interests and objectives. Paikowsky suggests that the significance of space in Israel’s strategic concept shapes its perspective on space security today. Her characterization of Israel’s approach to space suggests a fundamental tension between pragmatic goals and broader ideals. Israel, she contends, views space as a global commons and aspires to contribute to a secure and sustainable space environment. Toward this end, Israel is interested in greater international collaboration and cooperation in the space domain with the goal of maintaining space as a peaceful environment for the benefit of all. However, Paikowsky notes that Israel also acknowledges and accepts the worldwide use of space as a mechanism for supporting terrestrial military activity, as well as for defense and deterrence efforts against harmful activities in space— particularly with respect to the protection of satellites and space systems in its own case. Israel’s approach to space operations and services appears to be largely driven by national security interests. Paikowsky explains that as a small country, Israel is able to enhance its overall national power through space in ways that might otherwise not be possible. According to Paikowsky, Israel both enjoys and suffers from a growing reliance on space systems for its critical national infrastructure. For this reason, she explains, Israel has concerns about the growing global trend of space militarization because the resulting threats, if realized, could lead to Israel losing any relative advantages it might currently have in the space domain. Therefore, she maintains that Israel is interested in achieving a sustainable space environment, particularly one in which Israeli satellites are not endangered. Longstanding regional security concerns and threats have driven Israel to commit significant effort and resources toward securing and assuring its overall national security. Israel’s narrow borders, Paikowsky contends, constitute a lack of strategic depth and pose an existential threat that necessitates a search for solutions to avoid strategic surprise and sudden attack. For these reasons, she explains, Israel’s security doctrine demands advanced intelligence capabilities for early warning. An orientation toward space assists Israel in coping with the challenges presented by this aforementioned lack of strategic depth, and Israel’s space program, therefore, is recognized as a critical component of its national security strategy, according to Paikowsky. More specifically, she asserts that Israel is particularly focused on space capabilities for identifying and addressing threats from an intelligence and operational point of view (i.e., early warning; intelligence, surveillance, and reconnaissance; deterrence; and self-reliance in advanced technologies). She contends that Israel views these types of interests and operations as force multipliers that boost national space capability and infrastructure in both the military and civilian realms, thus strengthening Israel’s overall national security and regional status. Despite its space domain ambitions, Paikowsky notes that Israel’s space interests and operations are limited by resource constraints imposed by its relatively small size. She argues that this forces Israel to be more selective in its space operations, necessitating a concentration on those most critical to national objectives (e.g., developing, operating, and launching satellites into space), as well as several specifically targeted niche areas that present potentially high return on investment opportunities (e.g., Earth observation, low-Earth orbit launch capability, and communications). Another notable way in which Israel attempts to neutralize domestic resource constraints is by building partnerships with other space actors. Paikowsky notes that Israel does not build all of its systems entirely on its own (e.g., Israel does not have its own navigation system, weather system, or manned missions), but rather seeks to cooperate with international partners—particularly the United States—on mutually beneficial space- related projects. Therefore, it is important to recognize that while Israel’s size might present some limitations with respect to available resources, the strong US-Israel cooperative partnership does in part help to buffer Israel against domestic resource constraints. As Bahgat notes, the US provides a significant amount of political and economic assistance in support of Israeli space interests and operations. Since the establishment of its commercial space sector, Paikowsky contends that Israel has developed a robust commercial space industry and a strong scientific sector. Hitchens, however, notes that while Israel does technically have a commercial space sector and commercial space actors, there is a high level of government control and ownership involved. Therefore, these Israeli “commercial operations” might not be as truly independently “commercial” as one might imagine (Hitchens). Canada has had a few decades of experience with both military and commercial space (B. Weeden). It is among the group of space-faring nations that utilizes space and have both a strong space policy and a government space agency (Samson). Canada, like most countries discussed by the contributors, implements a different model for commercial space operations than does the US (Hitchens). Canada’s space sector lacks a clear distinction between civil, military, and commercial operations. There is also significant government investment in the commercial sector, which reflects the government’s commitment to building up the nation’s commercial space sector. Many of Canada’s commercial satellite companies still have broad government investment and therefore cannot be deemed as entirely independent entities, unlike the United States’ commercial satellite companies (Hitchens). For instance, Canada makes frequent use of Synthetic Aperture Radar (SAR)28 satellites for both military and commercial use, and is even ahead of the US in its widespread use of such satellites (Hitchens). This is one of Canada’s key areas of investment, and the dual-use (commercial and military) nature of these capabilities is indicative of the lack of segmentation within the Canadian space sector (civil, military, and commercial) as a whole. Charity Weeden of the Satellite Industry Association states that Canada’s recent defense policy documents indicate a determination to incorporate space capabilities into critical national security infrastructure. This emphasizes Canada’s recognition of the importance of space for national security and defense. In particular, space is vital to the scope of Canada’s Arctic operations and NORAD missions since it requires Automatic Identification System (AIS) and radar satellites to protect its coastlines (C. Weeden). Canada has its own military space assets, including satellites intended for military use. However, Hitchens emphasizes that many of these assets are connected to US operations, and Canada often requires the United States’ support for its military space ventures. Thus, while Canada appears to have an interest in utilizing space capabilities for military operations, it currently requires outside assistance to achieve its goals. Canada also closely collaborates with the rest of the Five Eyes community (Australia, Canada, New Zealand, UK, US), whose member nations are currently working to build space relationships with each other (B. Weeden). B. Weeden notes that discussions have been occurring under the rubric of the Combined Space Operation Center (CSPOC) to organize Five Eyes nations’ operations within a national space integration cell. The CSPOC would then act as a set of concepts of operations (CONOPS) for how these national space integration cells would interact with each other (B. Weeden). Canada’s commercial space operations and services are tightly linked with its national security and defense efforts (C. Weeden). Furthermore, based on Canada’s extensive experience with and ownership of satellites, the experts suggest that the nation’s commercial sector is focused on building up this facet of its space industry. Juan Hurtado of United States Southern Command stresses that Brazil has more space capabilities than many other countries in the region. However, it is still not on par with many other more advanced space-faring nations due to its dependence on international support for launches, satellite manufacturing, and orbital mechanics. Despite Brazil’s classification as an emerging space power, Hitchens stresses that the US should keep an eye on Brazil because it may become a larger player in the space domain in the future. Brazil has its own government Space Agency, the Agencia Espacial Brasileira (AEB), which facilitates the nation’s civilian and commercial space operations. In addition, there are various government organizations that assist with space operations. The Instituto Nacional de Pesquisas Espaciais (INPE), which sits under the Brazilian government’s Ministry of Science and Technology, oversees most governmental space research and development efforts (Hurtado). The Center for Space Operations, under the oversight of the Fuerza Aerea Brasileira (FAB), conducts most of Brazil’s space operations (Hurtado). Combined, these government organizations are responsible for administering the nation’s space program, research, education, and operations (Hurtado). While the INPE in particular works closely with Brazil’s military, military benefits are secondary to civilian interests and applications (Hurtado). As stated above, INPE works closely with Brazil’s military; however, its primary focus is on civilian space operations (Hurtado). This, combined with the placement of Brazil’s government space programs within the civilian sector, suggests that Brazil is primarily focused on commercial and civil space ventures. Brazil is specifically interested in making advancements in the field of small satellites, with a secondary focus on the development of launch facilities and launch vehicles (Hurtado). In terms of research, the nation’s primary focus is on space physics and heliophysics30 rather than any planetary research (Brent Sherwood, NASA Jet Propulsion Laboratory). Both Brazil’s commercial sector and its universities augment the activities of its government programs and operations (Hurtado). Brazil’s commercial ventures are not overly active in the security and stability domains (Hurtado), and thus do not view security differently during times of peace, crisis, and conflict. Since the 1940s, space has influenced Australia’s national strategy (Brett Biddington, Biddington Research Pty Ltd), and the country recognizes the importance of developing space capabilities. Samson states that Australia “use[s] space, recognize[s] space as being important, and [has its] own space interests and capabilities;” however, the country still lacks some of the capabilities that more advanced space powers possess. Despite Australia’s long history of involvement in space, several of the experts31 note that it still lacks a national space agency and a central coordination office. However, the government is developing a new space policy (B. Weeden) and has recently announced intentions to establish a central space agency. Although small in terms of population and GDP, Australia is responsible for approximately 15% of the Earth’s surface (Biddington). Earth observation satellites and communication satellites therefore have the potential to significantly enhance efforts to regulate, govern, and monitor Australian territories, and they are a major component of Australia’s space investments (Biddington). Despite its desire to have a successful space program, the nation’s limited monetary resources restrict its ability to spend on space ventures.32 Nevertheless, Australia has allocated funds to revitalize its space industry (B. Weeden), further highlighting the nation’s interest in investing in satellite launch capabilities. Australia presently has the capability to purchase foreign satellites and operate launches in other nations (Gilmour Space Technologies) but lacks the capability to launch on its own soil. A $3-4 billion project for space-based remote sensing was outlined in a recent Australian defense white paper and investment plan and, according to Biddington, the development of Australia’s own government- owned Earth observation satellites is on the horizon as well. Australia recognizes and values the benefits that space services from other countries provide Australian military forces and is determined to preserve those benefits (Duncan Blake, International Aerospace Law and Policy Group). Australia has long been a popular location for the US, ESA, and other space-faring nations to place ground stations, and it is starting to build some of its own ground-based space surveillance capabilities (Biddington). The Gilmour Space Technology team contends that they could also see the Australian government looking to domestic commercial space industries to launch military satellites within the next 5-10 years. The US has helped advance Australian space operations significantly (Dr. Jason Held, Saber Astronautics), and the two countries have worked together quite closely on space ventures for decades (Biddington). The US possesses the money and resources that Australia lacks to conduct these military operations (Biddington), and Australia has the geographic position that provides the US with extended satellite coverage. Much of Australia’s military assets are linked to United States operations, and Australia does not conduct many military activities in space on its own (Hitchens). Australia also closely collaborates with the rest of the Five Eyes community (Australia, Canada, New Zealand, UK, US) on space technology development and national security-related space matters (Lindsey). B. Weeden explains that discussions have been occurring under the rubric of the Combined Space Operation Center (CSPOC) in an effort to have all of the Five Eyes nations to operate a national space integration cell. This CSPOC would then act as a set of concepts of operations (CONOPS) for how these national space integration cells would interact with each other (B. Weeden). In terms of commercial space, Held suggests that Australian commercial activities drive the nation’s space industry. The nation has a variety of private companies that use space, and these companies have differing relations with government, both in terms of control and funding (Hitchens). The diminishing price of satellites is encouraging small, startup companies in Australia, as elsewhere, to start buying and launching satellites without any government funding or assistance (Biddington; Held; Lindsey). This lowers the barriers for entry for less-experienced companies (Biddington; Lindsey) and removes the need to rely on large-scale government investments. Despite these developments, Australia’s commercial space sector currently lacks a cohesive identity (Biddington). As Biddington explains, some Australian companies utilize satellites as part of their telecommunications business, but they view themselves as telecommunication suppliers who happen to use satellites to conduct their business rather than as commercial space companies. He also stresses the need for these companies to recognize their role as commercial space companies as well as the extent of their dependence on space. Singapore’s involvement in the space domain is relatively recent (Jonathan Hung, Singapore Space and Technology Association). In fact, Singapore’s commercial space activities began about 5 years ago, and the nation still lacks both a government space agency and a national space policy (Hung). Despite the absence of these institutions, Singapore has identified space as an area of interest for economic development (Samson). The nation recognizes the importance of space, invests capital and resources into space, and has its own space interests and capabilities; however, these capabilities still remain limited (Samson). The key ambitions and interests of Singapore’s commercial space entities are improving and developing satellite communication, strengthening its telecommunication and imaging services, improving Earth observation on the ground, and providing accurate data (Hung). Singapore also aspires to develop its space capabilities so that it can further extend its commercial services to the rest of the world (Hung). Overall, Singapore’s main area of interest is small satellites, and the nation has chosen to focus on providing commercial space services via small satellites rather than investing in large telecommunication satellites (Hung). According to Hung, Singapore does not conduct space operations for military purposes, nor is it looking to do so. Singapore views space as a commercial business opportunity as well as an opportunity to create jobs and conduct groundbreaking research (Hung). Consequently, the nation’s interest in space is driven by its commercial and economic interests, and it is predominantly focused on how it can improve and advance in the realm of commercial space (Hung). Most of the commercial space research being conducted in Singapore focuses on satellite imaging and observation activities and, as the price of small satellites continues to decline, Singapore is investing more in research and development of such capabilities (Hung). p>According to Samson, in a ranking of national space capabilities, Ukraine belongs in the lower tier of space-faring nations. Ukraine falls into this category it is interested in making advancements in space, recognizes the importance of space, and has its own space interests and capabilities, but does not have the advanced space capabilities and resources that other higher-tiered nations possess (Samson). Nevertheless, due its clear interest in space, further investment in Ukraine’s space operations is anticipated. Goswami predicts that along with the United Arab Emirates, Luxembourg will “emerge as a major space player in the future of setting space norms and utilizing insights drawn from space-based information services.” She supports this argument by pointing out that Luxembourg has invested extensively in asteroid mining and has established legislation that allows private companies to settle in Luxembourg by promising ownership of outer space resources. Thus, Luxembourg is primarily focused on its commercial space ventures, recognizes the economic opportunities available in space, and supports ownership of outer space resources. For most Middle Eastern countries, there are two major barriers to becoming a space-faring nation: money and scientific infrastructure (Bahgat). The Gulf States, specifically Saudi Arabia, the United Arab Emirates (UAE), Qatar, and Kuwait, have the economic resources to conduct space activities, but lack the necessary technical infrastructure and scientific expertise (Bahgat). Despite these shortcomings, Goswami predicts that the UAE will “emerge as a major space player in the future of setting space norms and utilizing insights drawn from space-based information services.” This prediction stems from the UAE’s efforts to partner with more advanced space-faring nations to build expertise, stimulate the process of obtaining space-based capabilities, and gain access to the wealth of space knowledge that these nations possess (Goswami). Other Middle Eastern nations, including Egypt, Jordan, and Lebanon, do not have the required financial resources to build a space program (Bahgat). According to Bahgat, this helps explain why the only Middle Eastern countries with space programs are Israel and Iran, both of which have resources and infrastructure. New Zealand does not have a national space agency (Biddington) and, according to B. Weeden, it is not engaging in many space activities at the moment.34 However, it is a member of the Five Eyes, whose member nations are currently working to build space relationships with each other (B. Weeden). B. Weeden elaborates that discussions have been occurring under the rubric of the Combined Space Operation Center (CSPOC), and the goal of these efforts would be for all of the Five Eyes nations to operate a national space integration cell. The CSPOC would then act as a set of concepts of operations (CONOPS) for how these national space integration cells would interact with each other (B. Weeden). Therefore, we can anticipate an increase in New Zealand’s interest in space in the near future.